Sensei Rod Williams has been a student of the martial arts since 1978. However, since 1988, he has devoted his time and energy to his development and teaching of Okinawan Goju-ryu. He is a 5th degree black belt. Sensei Chris is a 4th degree black belt. 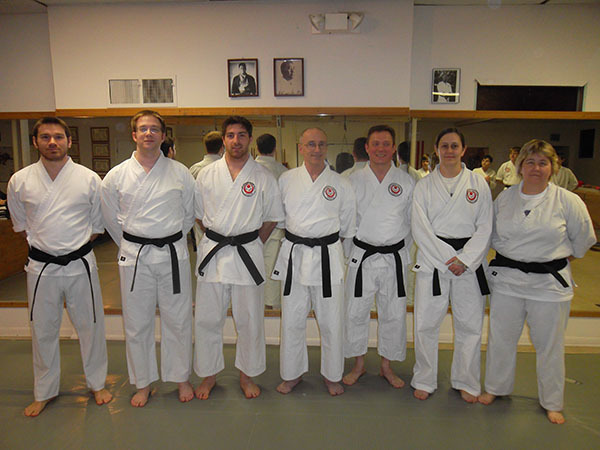 Sensei Mike Laffetry has been training at Sho Rei Shobu Kan Council Bluffs since 2001. He is a 3rd degree black belt. Sensei Coreena has been training at Sho Rei Shobu Kan Council Bluffs since 2001. She is a 3rd degree black belt. Sensei Gloria has been training at Sho Rei Shobu Kan Council Bluffs since 2005. She is a 2nd degree black belt. Sensei Jameson has been training at Sho Rei Shobu Kan Council Bluffs since 2005. He is a 2nd degree black belt. Jameson is also the webmaster of the website. Sensei Leo is a 4th degree black belt.